"You only get one life, you might as well be ridiculous," reads the caption on Felicity Hayward's Instagram post where the model is having what looks like a rather fabulous time wearing a swimsuit and a baroque-print shirt, bedecked in gold bling and holding a glass of champagne. The message instantly resonated with me and what I had been planning to discuss with you all for the month of June: Summer brings out the boldest, bravest and often best in us all, wouldn't you agree? In London—and I would imagine around the rest of the UK—the shift in mood and fashion outlook is palpable when the weather improves. Suddenly everyone has a life after 6 p.m. and a wardrobe that steps out of its comfort zone in a surprisingly easy switch-up or two. Who knew you were a crop-top person all along? Since when did loud prints become your easiest option? Hold on—you go charity shopping now? Then there's the next level of it all: the holiday alter egos. I'll be in Spain later this month, and I can guarantee you I'll be dressed as an elaborate flamenco dancer on any given day—all polka dots, gold jewellery and red lipstick included. So now is the time to harness our adventurous sides in more ways than just wearing a brighter colour on a boring day. Our editorial content will be on hand to help you bring your vibrant vacation self back into work (using our fashion team as a real-life examples—we've got our flights booked and our suitcases packed all for very different European destinations). Our aim is to include and profile as many brilliant, rule-breaking individuals who have something to say via their clothing choices as is humanly possible (starting below with my list of life-giving handles you need to follow ASAP). For those who consider themselves shy and retiring minimalists, there will be guides to easing you into the season's most eccentric trends. And so much more, but I'll leave you to get outside, grab an Aperol spritz and enjoy yourself. Scroll down to see the accounts of bold influencers and brands we're Insta-stalking right now. London-based model Naomi not only has a wicked fashion sense and a razor-sharp mind, but she also puts to very good use on topics such as feminism and body diversity in the fashion industry. She also knows how to have a bloody fun time. Our kind of woman. Oroma is a Nigerian-born magazine editor turned performance artist who has recently moved from New York (where she lived from age 15) to Marrakech. 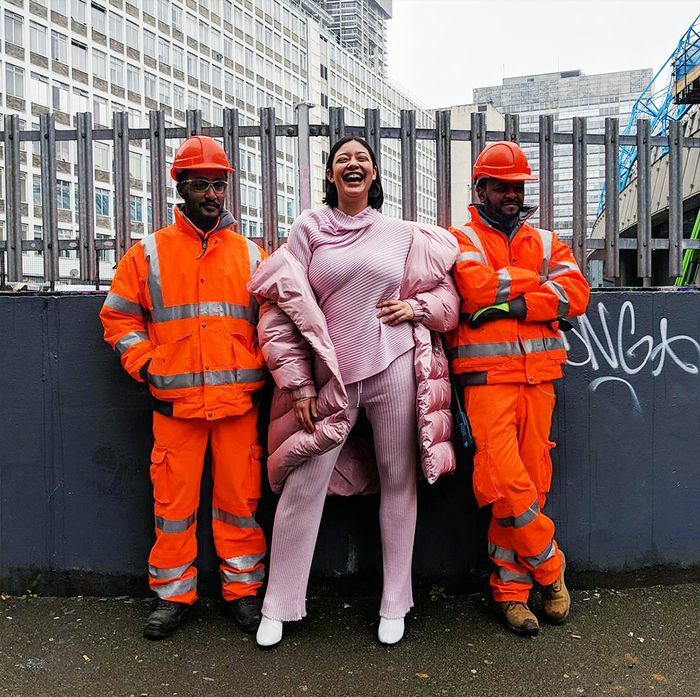 Her work centres around her transnational African status, and even if you'll never see her live, you can catch some of her musings (and quite fantastic outfits) over on Instagram. I'm all-too-aware that much of Instagram being a bit same-same, so that's why I'm always thankful that visionary fashion women like the Paris-based stylist Catherine Baba exist. Her retro stylings hark back to eccentrics of the past, like Diana Vreeland or Nancy Cunard. Designer Katherine Hamnett's slogan T-shirts are instantly recognisable and everywhere again, thanks to the push her brand is providing to various important topics. From her campaign to "cancel Brexit" to her work around fair-trade manufacturing and saving our oceans, it's never been easier or more important to wear your feelings on your tee. Sophia Tassew is both a bright new art director and a fresh rep for all the curvy girls out there. You'll catch the London-based 20-year-old creative via her ASOS Insider status and work at Nike, or perhaps at one of the three—yes, three—exhibitions she put on last year. RIOT! RIOT! RIOT! was a study in intersectional feminism, culture, sexuality and freedom and piqued the interest of Vogue. Whenever I'm feeling bored of homogenous jeans/logo-tee outfits on social media, I turn to Doina—the London-based Moldovan influencer—for inspiration. She was named in Forbes 30 Under 30 list and is a believer in #SocialMediaforSocialGood, so there is clearly much more to her than outrageous outfits (although her outrageous looks are really quite wonderful). Montreal-based personal trainer Grece is proof that so many more 50-year-olds should be on Instagram sharing their style nous with us. We adore following her looks. There is often an element of surprise, but we definitely share a similar passion for Céline and sneakers. If we could all have a smidgen of Felicity's confidence for the day, I'm sure we'd achieve a lot. The London-based model is known for her efforts toward body positivity in the industry, and she even launched an inclusive movement featuring workshops, talks and events. Check it out on Instagram via @self.love.brings.beauty. Melody Trend is our gateway to an experimental world so far from our London home. The L.A.-based stylist is a streetwear guru, creating combinations that are way outside of the regular athleisure box. Even if we'd never be able to pull off half of her looks (the above pool party ensemble being particularly epic), we are addicted to looking at them. I'm a bit obsessed with finding fashion students on social media, mainly because they are still at that exciting point in time where their fashion tastes haven't been too influenced—meaning you'll find some really interesting and unusual outfit ideas. One girl I look back at time and again is Lancaster Uni's Carol Chai. I think you can see why. Also: Doritos. Barcelona-based fashion brand Paloma Wool is really setting the bar for sustainable design that still makes its way onto must-have lists and #OOTDs a-plenty. There's a fantastic, honest energy to everything the brand produces (which isn't just fashion, but all sorts of other creative projects as well). There's also a bit of cheekiness in its designs. Its naked shirt was one of last year's biggest Instagram hits. University of the Arts London graduate Harper is a fashion buyer with some of the most directional outfit ideas we've seen in a long time. The burgeoning Chinese blogger was also photographed a lot during the last round of fashion week shows in London, so I'd say expect to see more of this face very soon. Maria Alia, who is Half Arab and half Puerto Rican, is an authoritative name in the world of modest and Muslim fashion, with over 400k followers on Instagram. The Alabama-raised New York-based fashion star alerts us to new brands all the time but is also a great source of high-street inspiration. 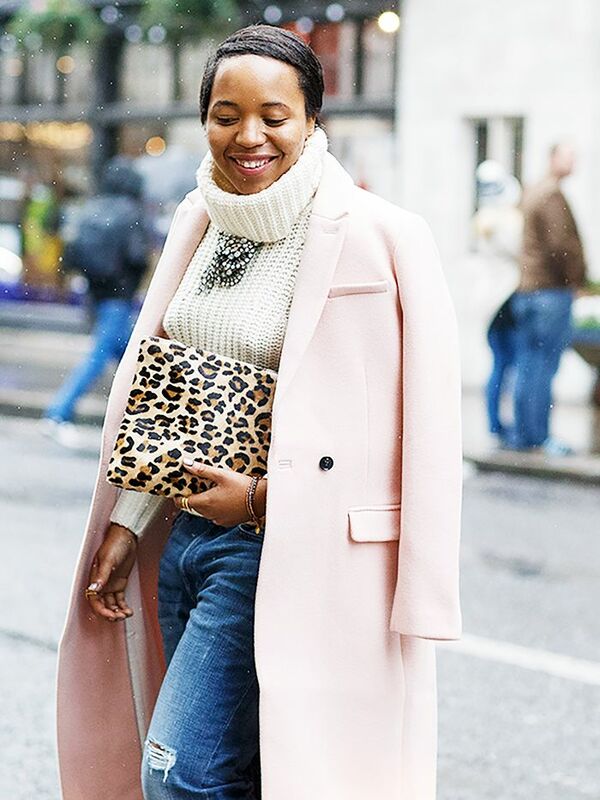 Tell us who else you're inspired by via DMs on our Instagram account @whowhatwear.uk!